Note: Kohl’s has provided us with a $50 gift card for the giveaway and the products listed above. With spring approaching and Lexi getting older, I have been thinking a lot about taking her camping. She keeps seeing camping references in books she reads and shows she watches and has become pretty interested in it. While we were in Chattanooga on a press trip ( post coming up), she bought a little lantern at Ruby Falls and has been inseparable with it, talking about camping with her lantern. Now my experience with camping equals to zero. 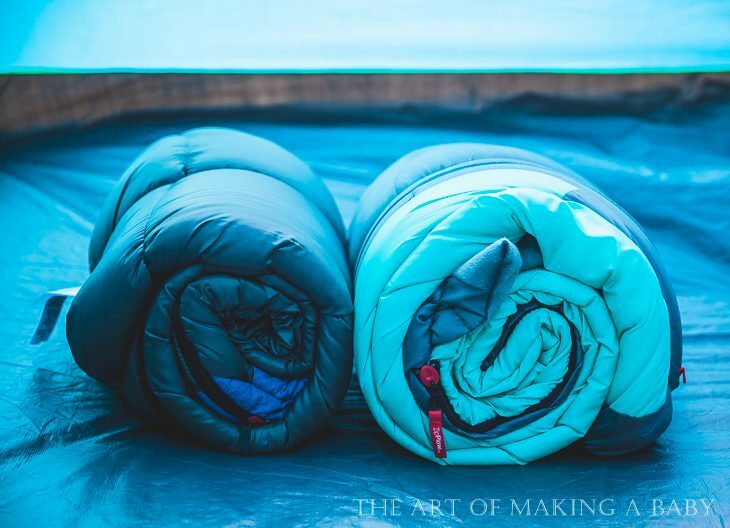 I grew up in a city and during my adult life never had anyone who was even remotely interested in going camping (and who wants to go alone?). So I always wished I could camp, but never had the opportunity to make it happen. Andrew always said “ugh, bugs mosquitoes, why???”. Despite all that, I have planned out all the camping spots I wanted to go to years ago and have had that on my to do list periodically looking it over. Obviously when Lexi was little, going on my own first camping trip was out of the question. Now that she is 4 and is herself interested in it, it would be a shame not to get it going. Two females against one male. We know who wins there. So we started shopping on Kohl’s for their camping sale event. Open Roof: I wanted a star gazing roof. 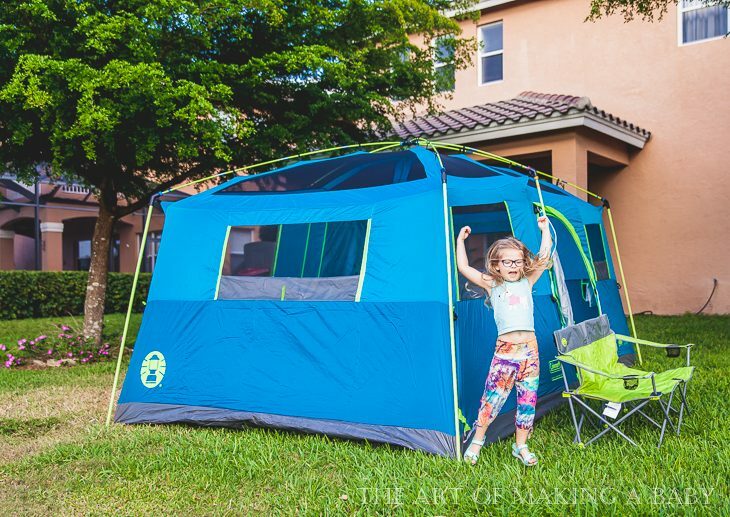 Lexi is obsessed with space and I absolutely love the night sky and the fresh air, so finding a tent with a big panoramic roof was a requirement. 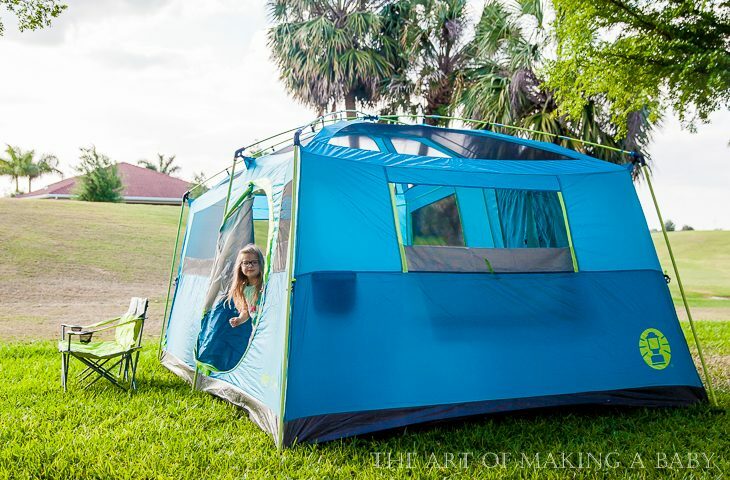 Large: Being tall, I didn’t think it was even an option to have a tent where I can stand up, so this wasn’t a requirement until I found the right tent, but I wanted a large space. Big, breezy and open. I like my living spaces very open. Easy to assemble: that’s a duh! If I have to assemble it on my own, I don’t want to spend hours reading the manual and struggling to get it up. 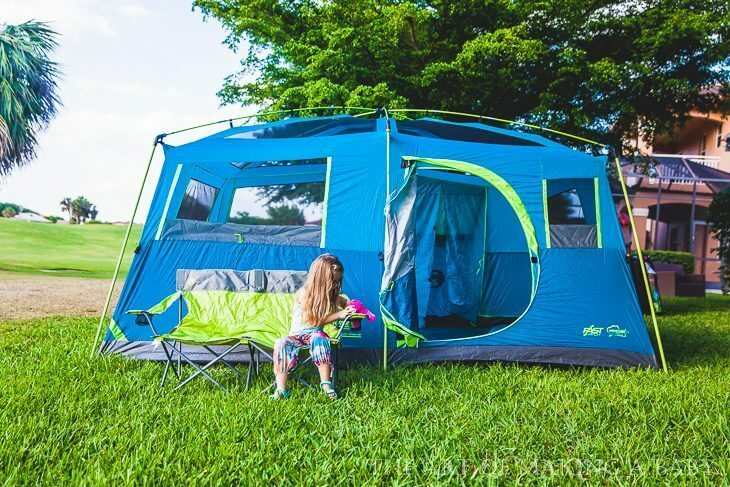 We got the Coleman 8 person Tenaya tent with closet and it is perfect. It is like this one. To be completely honest, as excited as Lexi was, I was more excited about setting it up and spending time in it. It’s huge, it’s open, every part of it opens up with nets for better ventilation. I am in love and can’t wait to go camping for real! Well, I guess I didn’t realize it but I have an affinity for lanterns. Probably because it’s such a quintessential camping/outdoor item, it calls to me on that level. I have so much technology in my life, so many conveniences, I just love the idea of going to basics for just a few days. And lanterns do that for me. The area has a lot of different parks and campground sites that are picture perfect. From springs and lakes, to moss covered oak trees to pine needle covered trails. My favorite is the Juniper Springs area. Crystal clear blue teal waters of the spring is what I am most interested in. I did some biking in the area and it was beautiful. 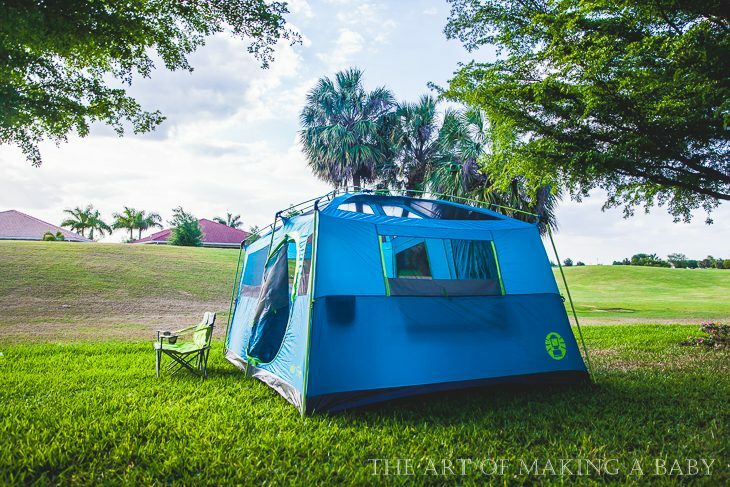 A beautiful drive and typical Floridian campground and not too far away from where we live. This is how my camping obsession began, with an island. When I found out that you can camp there, I knew I had to make it happen eventually. It’s an uninhabited island only accessible by boat or ferry that has beach camping grounds. 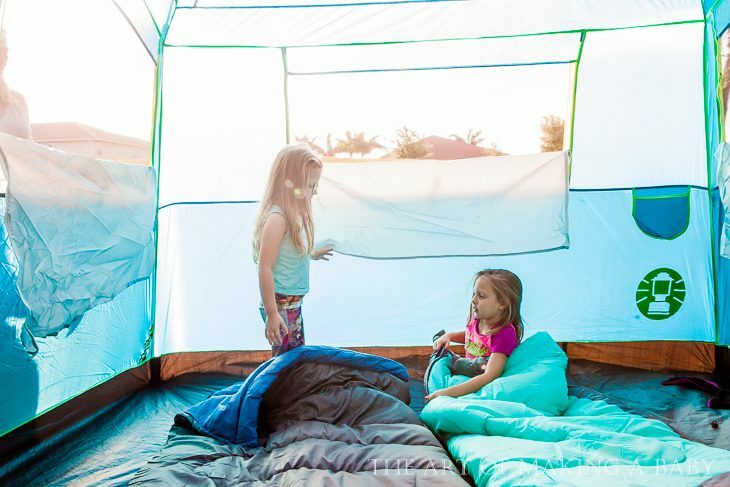 How much fun would it be to a have a beach bonfire and spend the night in the tent? Awesome shallow water trails, lots of kayaking and of course camping grounds. 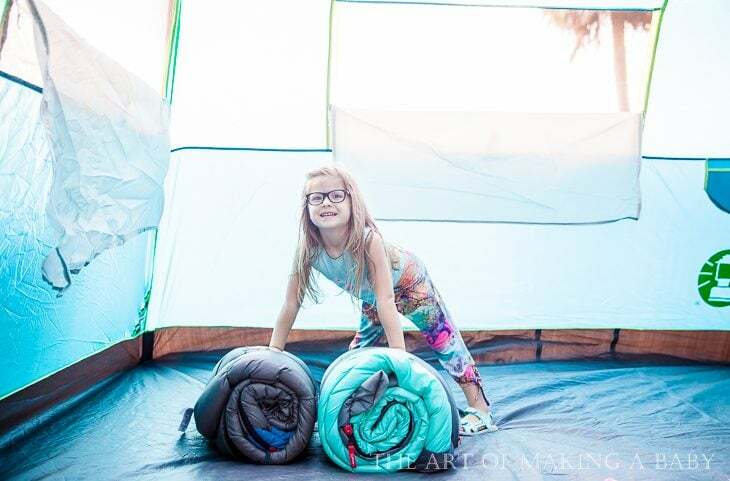 Of course, as soon as the packages with our camping gear arrived, Lexi wanted to set up the tent. This was right before our Disney trip, so we could go camping. Once we got back, we only had three days at home before leaving again, so I decided to experience some backyard camping before we go into the wild. 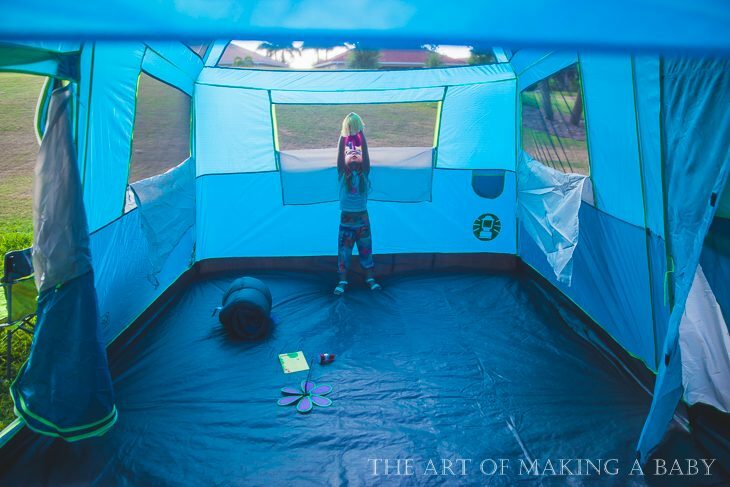 The tent was set up so we called Lexi’s friend and our neighbor to come over and have fun “camping”. Lexi brought all her toys she wanted, and her little lantern, the girls climbed into the sleeping bags and pretended to sleep. Christine and I sat back in the shade on our comfortable new camping chair and chatted about fitness, Minnesota, and their classes, while the girls happily played inside. It turned out that setting up a tent in the backyard was a better idea than I thought. 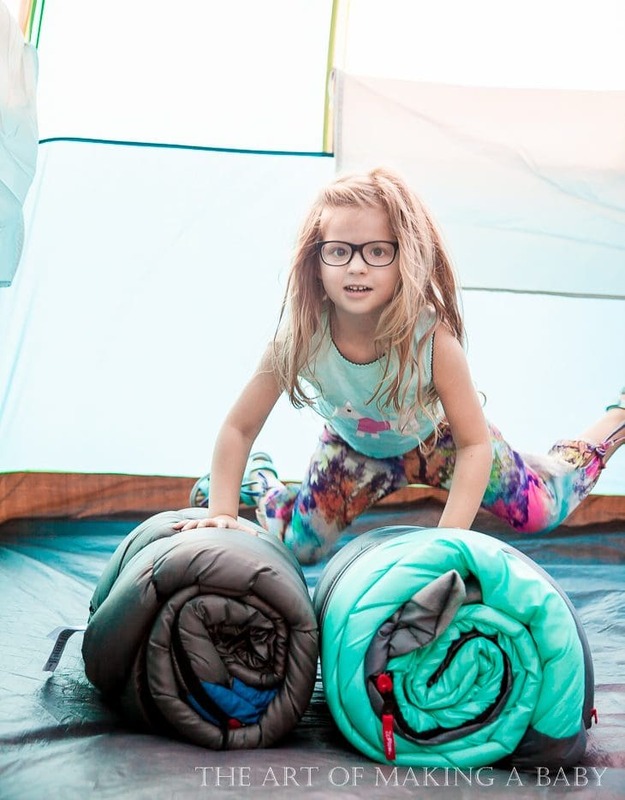 What kid doesn’t love backyard camping and playing pretend. 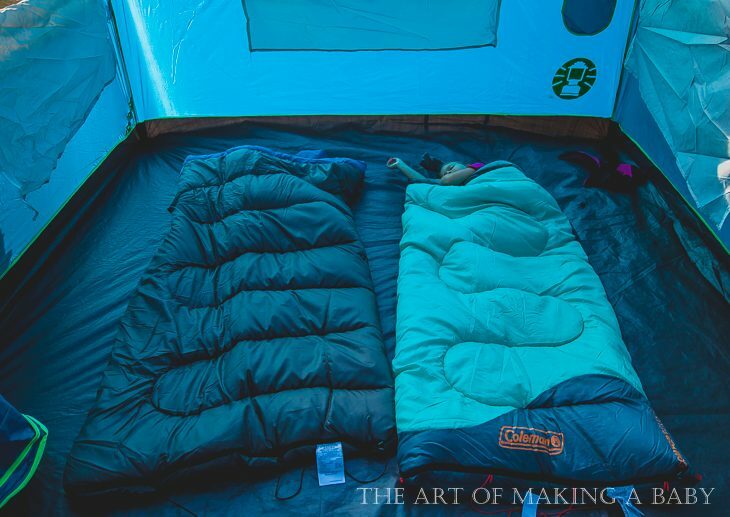 We even went to sleep in the tent in one sleeping bag together, though I did move Lexi to the bed upstairs since I didn’t want the sprinklers to wake her up. This experience made both of us excited to go real camping very soon! Summers are going to be BUSY! 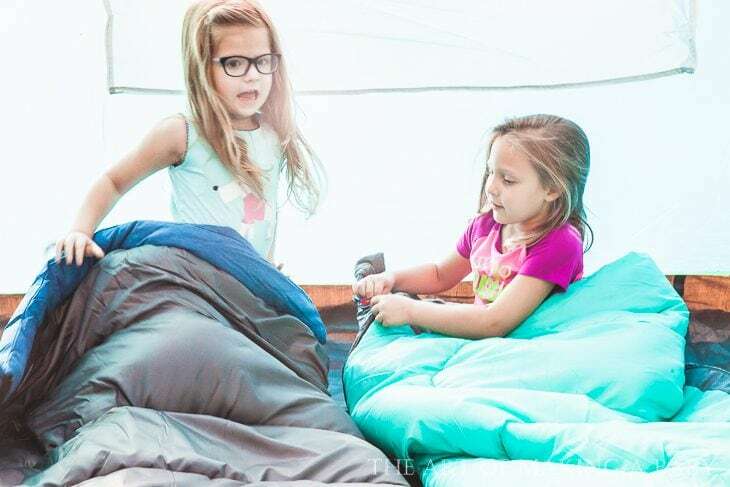 If you’d like to score some Kohl’s camping gear, feel free to enter the giveaway below for $50 Kohl’s gift card. What about Fort Wilderness at Disney? 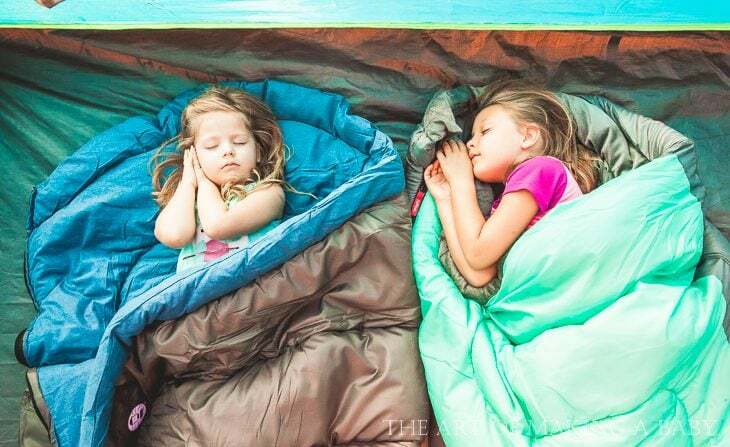 You could camp in the tent, sing campfire songs and roast marshmallows with Disney characters, I can’t wait until my girls are a bit older so we can go. 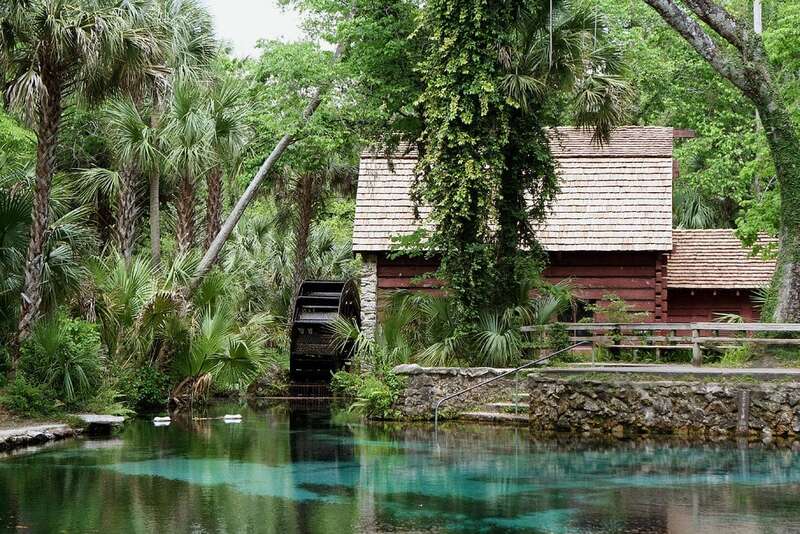 We also love Ginnie Springs but make sure you go when college is in session or the Gainesville kids tend to overwhelm the place with their revelry. The snorkeling makes it worth the trip, plus the Ichatucknee is nearby for tubing. 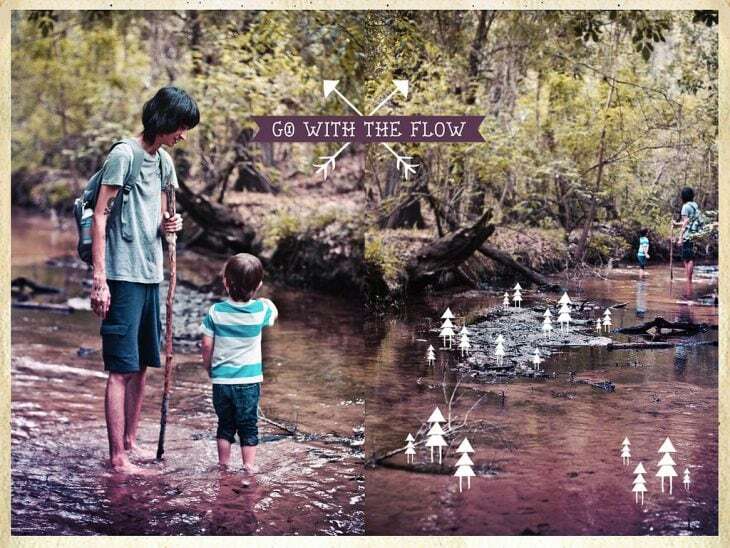 Omg I have not even thought about fort wilderness! What a great idea! Ginnie springs is awesome. I can’t get Lexi to snorkel though. It’s so awesome! I was seriously giddy just camping in the backyard. I have always wanted to! Try it!! !